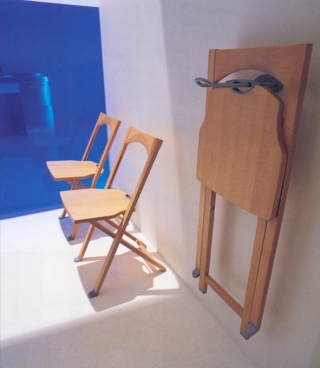 Foldable Tuoli Olivia: beech, walnut, cherry wood or wengè. Also available cotton back cover: ecrù, blue or corda. 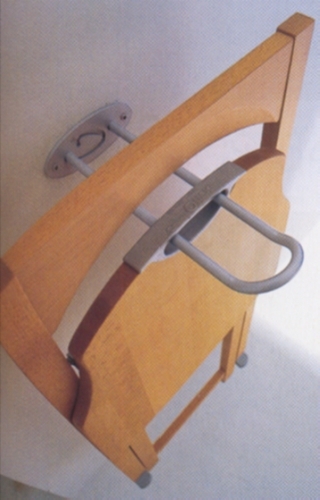 Wall mounted support for Olivia Tuoli. Glazed aluminum, holds up to 4 Tuoli.